“I prefer dangerous freedom over peaceful slavery.” – Thomas Jefferson. 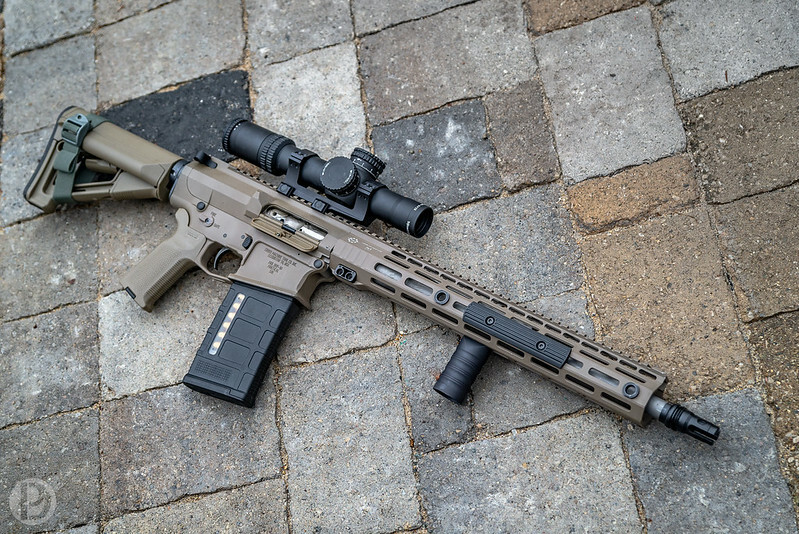 Sharp looking rifle. How do you like your Trijicon 1-8? Hmm maybe I already posted this. Can't remember! Good looking rifle Robert. How’s reliability Un-suppressed? I’ve been wanting to try that set up. LMT reliability all the way - meaning I never experienced an FTE/FTF with my normal 308 ammo. The one and only time I had issues cycling was with some Seller & Belloit 200gr subsonic ammo. (even with my can) I've seen other subsonic ammo advertised that it will cycle in an AR-10, but the reviews were about 60/40 cycling vs. having issues. Running M80 or Federal SMK 168 and 175, ran like a dream. I think the next 308 I do, if it has a 16" I'll definitely go the rifle gas route, even if I have to cut down.